Knowing what to gift can be hard, but I’ve found that there are two trusty and true options for nearly everyone on your list: books and food. Not many people can seem to have too much of either. 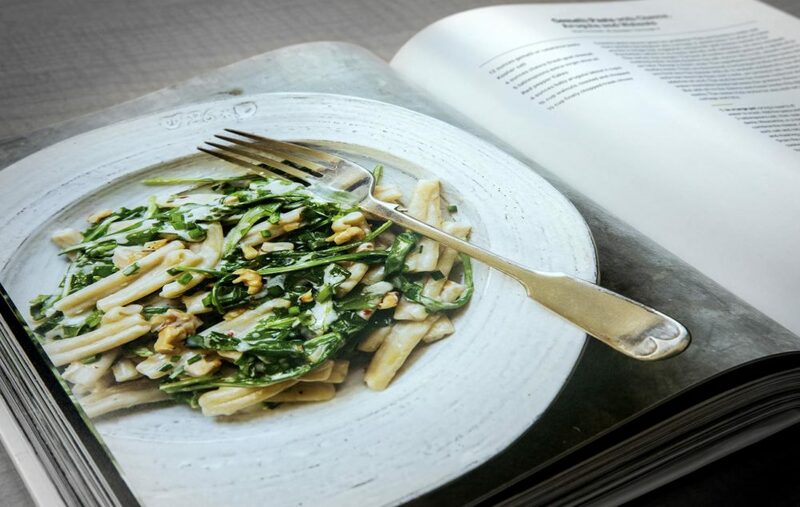 This holiday, why not give your loved ones the gift of both with a cookbook? Here are eight options with a local flair from New England authors that will make the recipients smile — and give them plenty of ideas for dinnertime and beyond. For the family member that loves lobster, clams and shellfish with all the proper Maine accouterments, give them a copy of this new book from Sandra Oliver, esteemed Bangor Daily News food columnist. This book features a lovely, classic design and is complete with personal cooking anecdotes from Oliver herself. This new book from the beloved Boston-based America’s Test Kitchen is perfect for the aspiring chef or little kitchen assistant in your life. From after school snacks to family dinners, your kids will be cooking for you in no time with help from this junior cookbook that uses science and starts with the basics. The America's Test Kitchen co-founder brings you his kitchen secrets in this complete guide via his new Milk Street venture — which already has its own TV show, magazine and cooking school. Sticking with Kimball’s global mindset, it features recipes from across the world as well as your own backyard and is great for everyone from the busy working parent looking to spice up weeknight meals to the apartment-dweller ready to host a fabulous dinner party. Bring the flavors of the Cape — from New England clam chowder to apple crisp — to the table with this adorable cookbook. Its smaller size and illustrations make it a great stocking stuffer, or a little something to give at a holiday party. Massachusetts-based food blogger Alana Chernila brings you her secrets to buying, cooking with, and learning to love vegetables in her new book. Perfect for vegans and meat eaters looking to add more leafy greens to their diet alike, this book not only gives you great recipes centered on veggies, it also teaches you how best to savor their flavors from the market to the table. This Portland, Maine-based bar and restaurant offers up the secrets behind its acclaimed cocktails and dishes, along with tips for hosting guests. It combines the owners’ love of the Northeast and Briana Volk’s Scandinavian roots to create an eclectic mix of eats and cocktails sure to delight. Give the gift of Northern hospitality with this collection of 70 recipes, selected and styled for all four seasons. Bowler’s book is also complete with wine and beer pairings, a guide to seasonal blooms and other DIY tricks that will push your parties over the top with the perfect amount of New England flair. James Beard award-winning chef and author Dorie Greenspan takes you inside the mind of a local culinary genius with her personal guide to all things food and cooking. Greenspan draws inspiration from her three residences: New York City, Paris and Westbrook, Connecticut. This no-frills cookbook includes 125 simple recipes for every meal and palate. Laney Ruckstuhl is a freelance digital producer and newscast writer.